Find events in Bass Lake, CA and other fun things to do. View our list of attractions, activities, events, restaurants and visitor information. Fishing derby fun for the whole family This year's Derby will be held on Saturday and Sunday, May 4th & 5th. The Derby will provide a lot of fun for the entire family and hopefully a few lucky fisherman will catch all or one of the special grand prize fish. Scenic marathon through the Sierra National Forest This is a fast scenic course through the Sierra National Forest just outside Yosemite National Park! Enjoy a peaceful 5 mile run through the trees, a fast 5 mile descent, and a beautiful 3 mile loop around Bass Lake. Classic Boat Show at the Pines Marina in Bass Lake, CA Join us for a sunny day on the lake while checking out California's finest classic boats! The boat show starts at 9:00 am Sat. morning Sponsored by the Bass Lake Lions Club and Bass Lake Boat Rentals. This is the year that both the No. CA/Lake Tahoe and So. Swim, Bike & Run at beautiful Bass Lake near Yosemite The Bass Lake Yosemite Triathlon has established itself as one of the "Go To" triathlons in California. Classic cars and fast boats. Ladies and Gentlemen start your engines! Miller’s Landing Resort will host its 9th Annual South Shore Car & Boat Show on Saturday, June 1st from 9 am to 2 pm. Classic cars and fast boats will gather once again. BBQ, Music and fun for all ages. The MY*Tri is a classic triathlon with swim, bike, and run. The MY*Tri is a classic triathlon with swim, bike, and run components. This event was established in 2013 by a team of local community members. Three race divisions; Dash, Intermediate, and Ace, are available for all athletes ages 5-17. 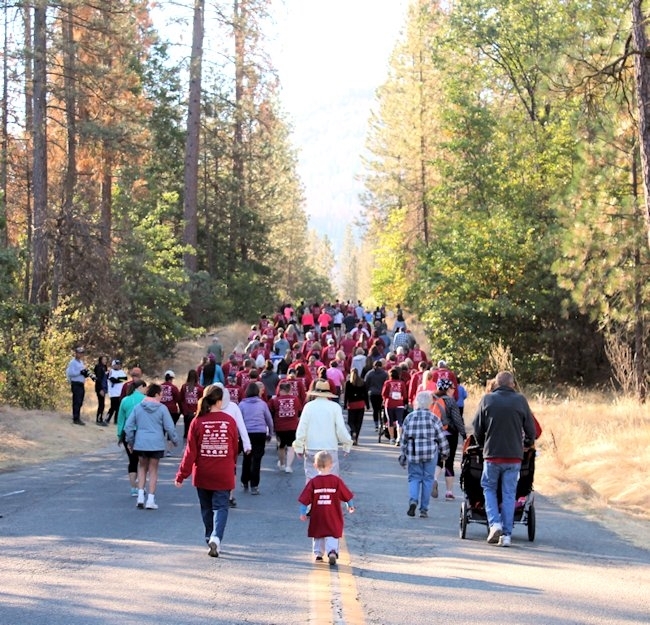 Run/Walk, 10K and 2 mile Fun Run Please join us at beautiful Bass Lake, California for the Smokey Bear Run / Walk. This year's event proceeds will go back to our local community. Please come early, Road 222 will close 7:15 – 10:15 a.m. towards the Forks and Millers.